HILADOS BENISAIDO SL has obtained financing through the Center for Industrial Technological Development – CDTI for the development of the project YLOPINTO “RESEARCH OF TECHNICAL YARNS FOR APPLICATION IN THE PAINTING SECTOR”, co-financed by the European Regional Development Fund – FEDER, through of the Smart Growth Pluriregional Operational Program. This research and development project, started in February 2018 and completed in February 2019, with a budget of € 222,131.00, has been developed in our facilities in Muro de Alcoy (Alicante). The YLOPINTO project has developed a new family of high performance yarns with a view to being used mainly in the manufacture of paint rollers. These new products are specially designed to be used in the painting tasks of highly rough surfaces and with a low homogeneity. 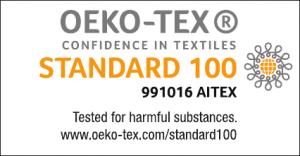 We have obtained a yarn technically superior to the products currently existing in the market. The project “INVERSIÓN INDUSTRIAL 2018” by HILADOS BENISAIDO, S.L. with file number INPYME / 2018/188, has been a beneficiary of a grant of 61,621.00 euros granted by the Ministry of Sustainable Economy, Productive Sectors, Trade and Labor, through the Program of aid in industrialization for SME investments industrial sectors that improve the competitiveness and sustainability of the footwear, ceramic, metal-mechanical, textile, toy, marble, wood-furniture and lighting, chemical, automotive and plastic sectors of the Region of Valencia. The project “Industrial Investment 2017” by HILADOS BENISAIDO, S.L. file number INPYME/2017/110, has been the beneficiary from an aid of 73.360,00 Euros given by the regional ministry of Sustainable Economy, Productive Sectors, Trade and Labour through the Program of aid in the field of industrialization for investments of industrial SMEs that improve the competitiveness and sustainability of the footwear, ceramic, metal-mechanical, toy textile, marble and furniture and lighting sectors of the Valencian Community.